A Republican Maine House candidate who called a Florida high school shooting survivor a "skinhead lesbian" and called another a "bald-faced liar" is quitting the race. Leslie Gibson was widely criticized for insulting the survivors of last month's shooting, which killed 17 people. The Portland Press Herald reports Gibson said Friday he's walking away with his "head held high." 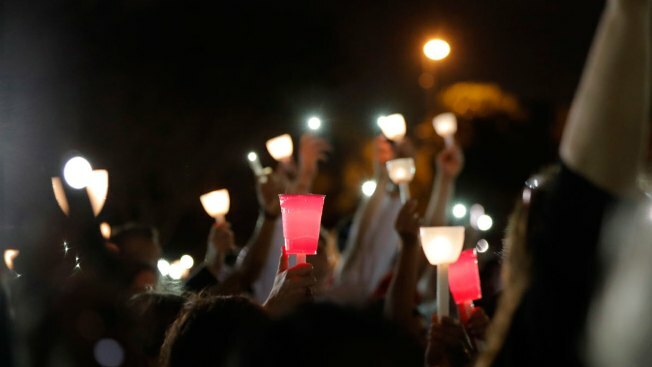 One of the teenage students Gibson attacked online was Emma Gonzalez, a leader in student efforts to combat gun violence. He said there was "nothing about this skinhead lesbian" that impressed him. Gibson had been unopposed in the 57th District contest. Now Republican Thomas Martin Jr. and Democrat Eryn Gilchrist are running. Gilchrist says she was "horrified" at the idea of Gibson representing her. Gonzalez has stirred people with shouts of "Shame on you!" directed at lawmakers.